We all know a little bit that the weather outside affects our brain and the mood. If it’s cloudy out there, you feel gloomy, and on a bright sunny day, you are relatively happier. But did you know that your body’s temperature also changes with the changing weather? Sounds surprising right? But invariably, it is true. Have you ever wondered that our human body could be an air conditioner and heater by itself? The body has its system to manage the heat from inside and outside the body. That is why when you encounter a fever or shivering, the body knows how to handle itself. 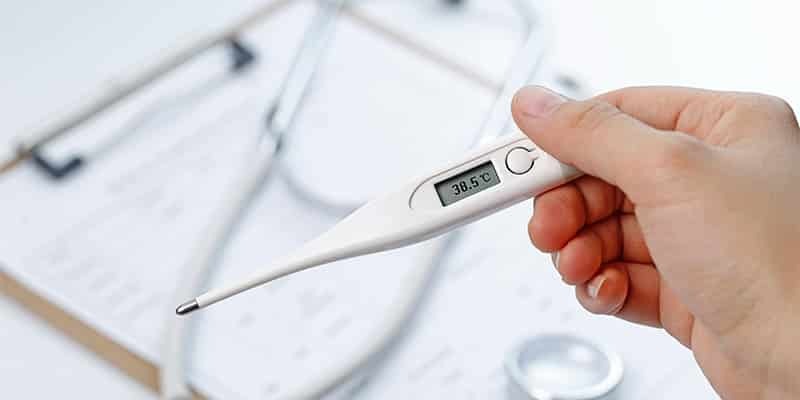 This article will help you understand the body temperature, how it reacts to various environments, the effects of heat and cold on the body and the steps to prevent yourself from these effects. What Is The Body’s Average Temperature? You might be familiar with the number 37°C. 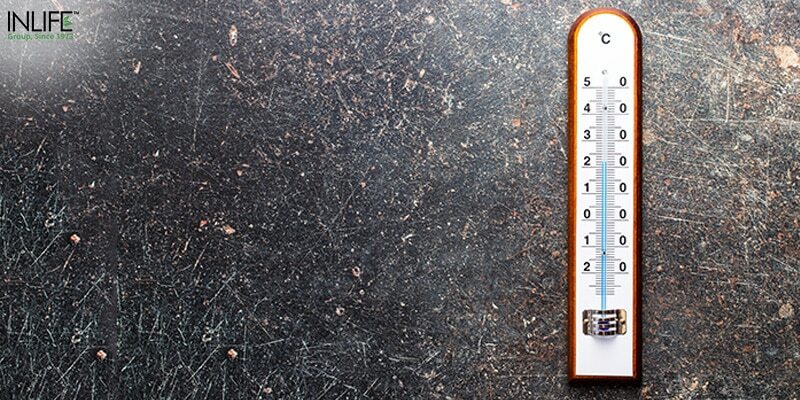 The average temperature of adults lies between 97.8°F and 99.0°F. This average temperature may vary as much as the degree by 1°C depending on the activity that is being performed or the state of the body. Your doctor might record your temperature orally, rectally, under the armor in the ear and this will vary a bit from the actual temperature. Of all these, a temperature taken rectally is the most accurate. The body’s temperature control hub is the hypothalamus. Hypothalamus is a small part of the brain that controls several functions. It helps in balancing the body fluids and salt concentrations. It also coordinates the autonomic nervous system which acts as the system that regulates processes you involuntarily perform, such as the beating of your heart, breathing, blood pressure, digestive processes, and the temperature. How Does The Body’s Heater Work? The primary source of heat for the body in normal conditions is the internal heat, called metabolic heat. It is produced inside the body by the biochemical means that keep us living, and with the energy, used in physical activity. The body transfers heat with its surroundings largely through convection, radiation, and the evaporation of sweat. Radiation is a process by which the body obtains heat from the surrounding objects that produce heat like, hot metals, furnaces or steam pipes, and lets out heat to cold objects, such as chilled metallic surfaces, even without any contact to them. When an object contains the same level of heat as the skin temperature ( 35°C ), there is no radiant heat gain or loss that occurs. The process by which the body transfers heat with the surrounding air is called Convection. The body obtains a temperature from the hot air and loses the heat to cold air when it comes in contact with the skin. The convective heat transfer increases with scaling up airspeed and the developed differences between wind and skin temperatures. How Does The Human Body React To Exterior Environments? Since humans are mammals too, the human body is warm-blooded. Most of the cells in the body create a certain amount of heat. The organs like the brain, liver, and heart are the ones that create heat in the body. But the most amount of heat is created by the muscles especially when they are active. When the body involves in physical activities such as sports or running, it gets hot. As a result, the hypothalamus and nervous system prompts the sweat glands to do their work. The sweat glands then draw the water from the dermis, the innermost layer of the skin, which stores most of your body’s water. The sweat causes an evaporative cooling on the surface of the skin. When the humidity gets high, it means that there is more moisture in the air. This moisture delays the evaporative effect of sweat, and in turn, reduces the cooling effect of sweat. You may feel hotter on humid days as a result of this reduction in evaporative cooling. The body is expected to sweat even more while trying to compensate for the temperature on humid days like these. The body cools itself is by directing the blood to flow nearer to your skin in some other cases. Losing this heat from the blood through the skin helps it in reducing the temperatures. When you think of heat, it is probably not something you think of as a dangerous thing to your health. But the fact that cannot be neglected here is, anything in excess can cause harmful effects on health. The result of being careful while temperatures rise is protection from a severe illness that can be deadly too. The three common illnesses related to excess heat are heat cramps, heat exhaustion, and heatstroke. Heat cramps and heat exhaustion are comparatively less severe than a heatstroke, but they have the capability to harm at least one day’s routine. Heat cramps are the result of dehydration and low salt levels. Heat cramps manage to affect the people who are involved in activities under the hot sun. Kids are prone to this condition the most given the amount of time they spend on outdoor activities. The next bracket of people affected the most are the elders. The underlying medical conditions related to the heart and lungs makes them vulnerable to be dehydrated easily. As a result, they can be affected harmfully by heat cramps. Another set of people prone to heat cramps are people who undergo a variety of medications. The exposure to these medications can trouble the body’s natural way of dealing with heat and direct craps to itself. Antihistamines and over-the-counter cold medications can also impair the body’s temperature control mechanism. To immediately aid the person affected by heat cramps, the first step is to move to a more relaxed, cool and shaded location. Removing the upper layer of clothes as much as possible and applying cool cloth or ice to the head, face, and neck. Make the person drink a lot of water, clear juice or a sports drink to cool down the body temperature. Heat exhaustion is a condition where the symptoms include massive sweating and an increased pulse rate, a result of your body overheating. The symptoms of heat exhaustion might occur either suddenly or over a period of time around prolonged periods of exercise. 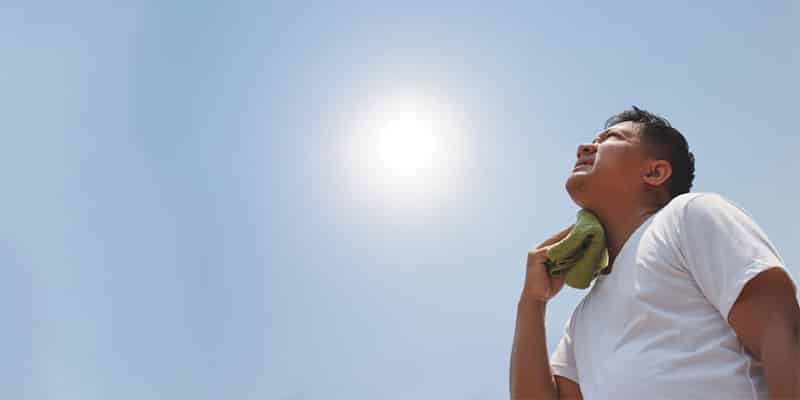 The causes of heat exhaustion combine the exposure to raised temperatures, especially when mixed with higher humidity levels, and vigorous physical activities. Heat exhaustion can lead to heatstroke without prompt treatment at the right time. Heat cramps can be painful with heavy sweating, dizziness, fatigue, rapid pulse, and muscle cramps. A more severe stage could include nausea and headache too. As we know that the body is capable enough to manage the temperatures within depending on the outer environment, this becomes difficult when it encounters an immense amount of activity. When one exercises vigorously in humid weather, the body is less capable of cooling itself competently. If a person is affected with heat exhaustion first move them to a cooler setting like an air-conditioned room or underneath a fan. Lay the person down and loosen their clothing. After this, apply cool or wet cloths to their body and make them drink enough water. 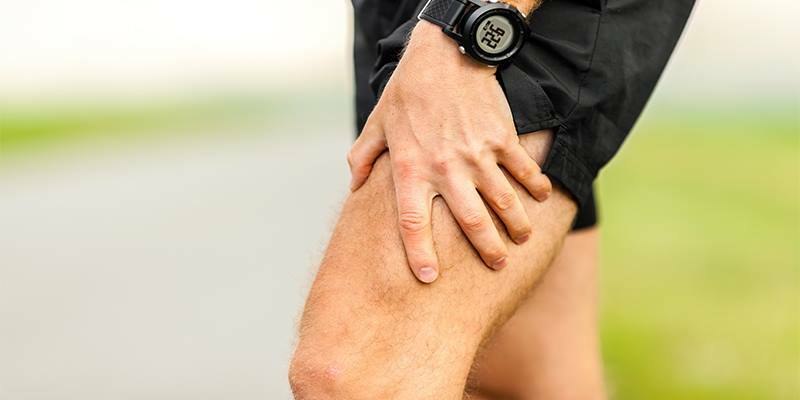 Since the condition is more severe than a cramp, it is better to get medical help at the earliest if there is no improvement. The hypothalamus responds to increases in external temperatures by sending fluids, salts, warm blood, to the skin, setting off the process of evaporation. In the scenario of prolonged heat exposure, the body sweats too much. So much so that it drains itself of all fluids and salts, having nothing to sustain the general evaporation process through the skin. When this process stops, the body’s temperature soars and can result in a heat stroke. A heat stroke is when the body temperature above 104 degrees and the skin turns red and hot. A rapid and robust heartbeat follows this and leads to dizziness and unconsciousness. The first aid for heat stroke is not very different than that of cramps and strokes. But the most important thing to keep in mind is to not give any fluids to the person if he/she is suffering from vomiting or is in an unconscious state. How To Prevent The Adverse Effects Of Heat This Summer? Summer might be the most favorite season for all people, but it comes with its drawbacks. The waves of heat may result in the deterioration of your health rapidly. Certain precautions must be taken to reduce health risks for you and your loved ones from the heat this summer. 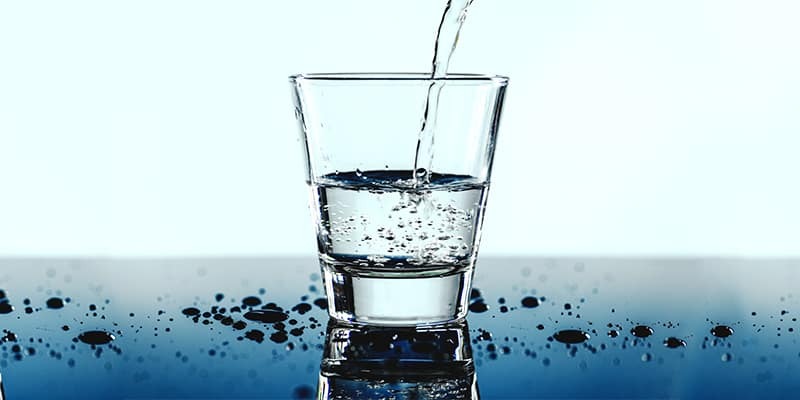 In general, it is advised that a person must drink at least 10-12 glasses of water per day. In summer, this number has to be increased to a good 15 to stay safe from the strokes of heat. Being hydrated is the most important thing to do in summers to stay away from heat-related problems. The loss of water affects the body. You can also find other sources of water like cantaloupe, watermelon, and strawberries. Try including vegetables such as celery or cucumber in your diet. These foods can be eaten raw in a salad too. Water also has recipes! You can add your own flavor to the water you drink and make it more refreshing and tasty! Go through our blog on 14 Refreshing Infused Water Recipes To Keep You Hydrated. Drinking alcohol beverages in summer is no less than allowing yourself to become dehydrated may well be a recipe for disaster. Drinking alcohol when the heat is least intense is a smart move. So, in case you are calling the shots, do it around early evening as the sun starts to set. Take a cold-water bath every day, preferably twice. This helps your skin rejuvenate and bring back the average temperature to your body. Also, spend at least a few hours in a cool and air-conditioned place like a mall, library or your home itself. In summers, although the weather might make you feel happy and active, try controlling on your outdoor activities. A few hours of physical effort towards a sport is no harm when it is early in the morning or a little late in the evenings. Make sure you are wearing clothes that do not attract more heat (nylon, silk or any other synthetic fibers. Instead, try wearing cotton or linen since it helps in absorbing the sweat and lets out the heat from your body. During hot streams of heat, a child’s health can decline at a faster rate. It is important. Always give children enough water at least once in an hour to keep them away from the effect of heat waves. Try pulling out activities such as swimming for kids which will not only keep them refreshed but also let them enjoy their summers. All in all, this summer, make it a point to face the heat in the battle of health with proper back ups. These back ups will help you keep the heat away from affecting your health severely. 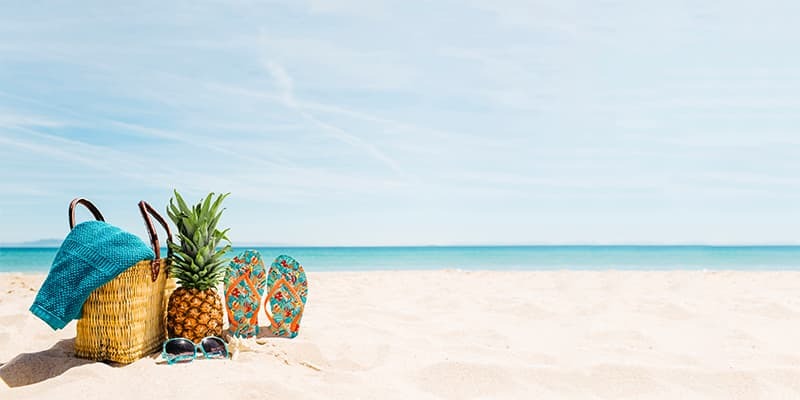 Apart from hydrating yourself and wearing proper clothing, you can also try planning indoor activities that give you the same amount of fun as outdoor ones in hot sunny afternoons. Stay safe and play cool by adopting these precautions this summer. The 20 hottest years in the account have occurred in the past 22 years. The rate of global warming has impacted every summer and has made in at least 2 degrees hotter every year. 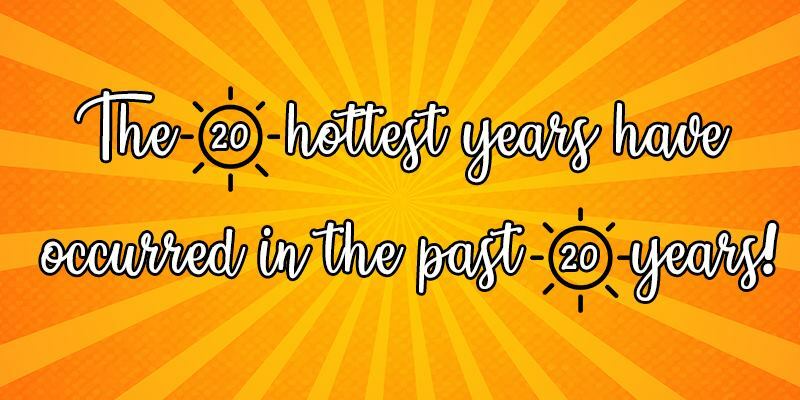 As a result, Summer 2019 is going to be the hottest year in the past 20 years! Stay indoors as much as possible between 11 AM to 3 PM and wear all your whites and linens! Beat the Heat! This entry was posted in Health and tagged Dehydration, Effects Of Heat, Heat Cramps, Heat Exhaustion, Heat Stroke, summer illness. What Are UV Rays? How Do They Affect The Skin? Dr Mukta, as i have already informed u earlier that i am diabtec and on oral medicine since 10 years. At present i have been reduce carbs and added only veg stuffs with avacodo or olive oil without grains in my diet as i am vegitrian. Also i taking inlife daistan two tab daily. My sugar level is controlled but not as i was expecting. Now my tablets are finished, i will buy it again when i comeback in july. In the meanwhile could you suggest any upgraded ways to control instantly and to maintain it in constant level.